around a girl walking through a magical forest, during her stroll, her shadow evolves into a monster who chases her through the woods. According to Deschaud the story is about “embracing your fears, and turning them into something beautiful”. Each frame of Chase Me required its moving components to be separately printed out on a FormLabs Form 1+ 3-D printer. 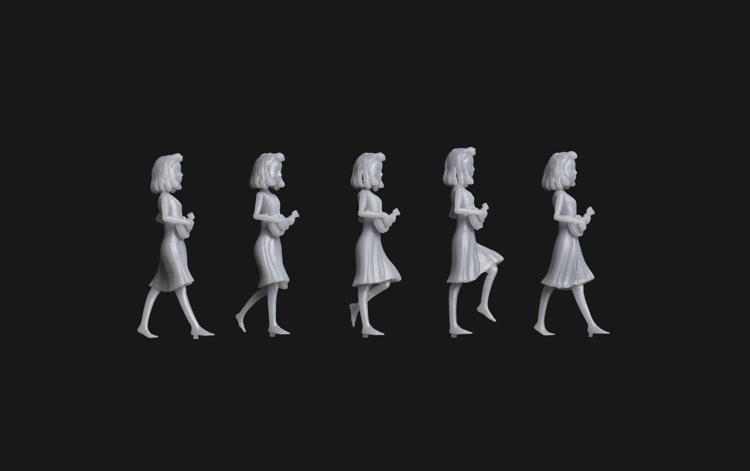 Unlike a traditional stop-motion puppet, the figures in Chase Me aren’t malleable by hand, meaning that every time a figure moved, Deschaud had to totally replace it with a slightly different figurine, 2,500 3-D prints were produced and 6,000+ hours of non-stop print time was required. Posted in Digital Print, Industry News, Technology. Bookmark the permalink.